In a quest to continue their acquisitions in the area, Parsley Energy is buying rights to undeveloped acres in the heart of West Texas’ Permian Basin from Double Eagle Energy for $2.8 billion. This will be the 10th largest purchase in the basin that has been announced by Parsley, an Austin-based company, it will add 71,000 net acres to the company’s Midland portfolio. This brings it’s total Permian acreage to 227,000, one of the largest holdings by an independent production company within the basin. Priced at the upper end when compared to recent averages, the purchase includes acres in six Permian counties for about $37,000 an acre. This year is predicted to be hotter than last year in the basin. Last year companies cut more than $24 billion in Permian mergers and acquisitions, it was “a huge year,” said Sandeen. But, other companies have already spent half of that so far this year. Since the beginning of last year, no company has made more Permian purchases than Parsley, Sandeen stated. Aside from Exxon Mobil, which announced last month the purchase of Bass family oil land for about $6.6 billion, Parsley spent more money than anyone in the basin. The company said the new acres add 23 drilled but uncompleted wells, 3,300 horizontal drilling locations, as well as about 3,600 barrels of oil and gas per day. Parsley will be paying half in cash and half in stock. Double Eagle, based in Fort Worth, was considering going public. The news of the Parsley buy, released late Tuesday, took analysts by surprise. The sale is scheduled to close by April 20. Article written by HEI contributor Lydia Ezeakor. Howard Midstream Energy Partners (HEP) said on Thursday that it plans to significantly expand its bulk liquids terminal in Port Arthur, Texas, after executing a long-term terminal services agreement (TSA) with a third-party shipper. Under the TSA, HEP will construct or install more than 15 new tanks adding more than 1 million bbl of storage for a variety of products, and construct new marine facilities for both blue water and inland marine vessels. Additionally, the company plans to construct a pipeline system to transport products between the HEP's Port Arthur facilities and other third-party supply points. Permitting for the development of the Port Arthur Terminal began in the first quarter of 2016. HEP said that final engineering of the facilities and pipelines is underway and construction is expected to begin in March. The facility is projected to take 18 months to construct, and operations are expected to begin in 2018. If warranted by future demand, HEP's Port Arthur Terminal can be expanded to include up to 24 million bbl of storage and multiple blue water and inland marine docks. "HEP's Port Arthur facility is uniquely positioned to provide an efficient solution for shippers seeking alternatives to Houston facilities that continue to experience high volumes of marine traffic and subsequent demurrage," said Mark Helmke, HEP's senior vice president of terminals and transportation. "Our proximity to over 1.4 million barrels of local refining capacity and significant refined product pipeline infrastructure, such as Explorer Pipeline and Colonial Pipeline, make this terminal a logical clearinghouse for refined products. HEP's 450-acre Port Arthur facility sits only 13 miles off the Gulf of Mexico and provides access to numerous refineries, chemical plants and nearby pipelines, the company said. The site currently includes more than eight miles of rail with a unit-train loop track and railcar loading/unloading facilities, four storage tanks with a total capacity of 230,000 bbl, and more than 3,000 feet of deep-water frontage, it added. San Antonio-based HEP is an independent midstream energy company, owning and operating natural gas gathering and transportation pipelines, natural gas liquids processing plants, rail facilities, liquid storage terminals, deep-water port facilities and other related midstream assets in Texas and Pennsylvania. The company has corporate offices in San Antonio, Houston and Mexico City. Oil prices fell one percent on Friday after U.S. crude inventories rose for a seventh week, showing that the market is still struggling to ease oversupply despite many producers' efforts to rein in production. The continued rise in U.S. inventories comes as members of the Organization of the Petroleum Exporting Countries (OPEC) and other producers have cut output. Compliance is set to rise even further in coming months as OPEC laggards United Arab Emirates and Iraq have pledged to catch up with their individual targets. The United States, which is not part of the deal, continues to ramp up production. Analysts at ING said they expect U.S. output to keep rising while prices remain strong enough to encourage further drilling. Benchmark Brent crude oil LCOc1 was down 68 cents cents at $55.90 a barrel by 1407 GMT, while U.S. West Texas Intermediate CLc1 dropped by 54 cents to $53.91. "Prices continue to retreat on repeated failure to rise above the upper end of their trading ranges and yesterday's inventory data also weighs," said Carsten Fritsch, analyst at Commerzbank in Frankfurt. However, signs have begun to emerge that traders are depleting storage levels that soared while oil prices were weak. In the United States, traders are draining the priciest storage tanks as strengthening markets make it unprofitable to store for future sale and as cuts in global production open export opportunities. "Current oil prices are neither sustainable for OPEC or the industry," AB Bernstein said in a note. "As such, inventories will have to fall, which we expect will be clearer in the spring after the seasonal build." More than 12 million barrels of oil has been taken out of storage in tankers berthed off Southeast Asian countries this month, shipping data on Thomson Reuters Eikon shows. Analysts at LBBW said that the continued growth in U.S. production and oil prices that look to have reached a technical ceiling have led them to cut their year-end Brent price forecast by $5 to $55 a barrel. "Most market participants realize that the good news from OPEC seems to be priced in; therefore, and because of the shale comeback (in the U.S.), we reduced our forecast," said LBBW oil analyst Frank Klumpp. For the first time since early 2015 U.S. oil production increased for the second consecutive month in November 2016. U.S. Energy Information Administration reports today that increased drilling activity in Texas and New Mexico, as well as the start of a number of new projects in the Federal Offshore Gulf of Mexico (GOM), more than offset declining production from other regions in October and November 2016. Increased drilling in the Permian region responded relatively quickly to a rise in the WTI oil price, which increased from an average of near $30/bbl. in the first quarter of 2016 to $45/bbl. or higher beginning in the second quarter of 2016. In the GOM, the new projects that came online in the last quarter of 2016 were planned and approved during the 2012–14 period. U.S. oil production averaged an estimated 8.9 million barrels per day in 2016, and monthly oil production increased by 232,000 b/d in October and by 105,000 b/d in November, report says. Current crude oil prices above $50/b, combined with increasing drilling rig counts in several onshore basins, suggest U.S. crude oil production will likely continue to increase, Energy Information Administration reports. Earlier in February EIA in its regular short-term energy outlook said U.S oil production is forecast to average 9.0 million b/d in 2017 and 9.5 million b/d in 2018. Total OPEC supply is expected by EIA to increase by 0.2 million b/d in 2017 and by 0.5 million b/d in 2018. EIA forecasts Brent crude oil prices to average $55/b in 2017 and $57/b in 2018. WTI prices are forecast to average about $1/b less than Brent prices in 2017. The U.S. oil-directed rig count increased by 41 rigs in January, the eighth consecutive monthly increase and the first year-over-year increase since December 2014, according to Baker Hughes. Prices for WTI Midland strengthened compared with similar light sweet crude oils at different delivery hubs, as represented by a decline in the WTI Cushing. Recent movements in U.S. crude oil price differentials could be reflecting infrastructure developments and changes in oil market trade flows. The recovery of U.S shale oil is expected to quicken next month as more crude-producing regions return to growth, says the U.S Energy Information Administration’s latest drilling productivity report. The EIA predicts U.S shale oil production in seven major regions will increase by a total of 80,000 barrels a day to 4.87 million barrels a day in March. This marks the third month the agency has projected output to rise. The latest prediction is nearly double the 41,000-barrels-a-day climb the agency expected for February in its previous report. On Monday the EIA slightly raised its predictions for February’s output to 4.79 million barrels per day. The Permian Basin in Texas and New Mexico is still leading the recovery. The EIA predicts drillers there will increase output by 70,000 barrels a day in March. Due to the geology of the basin, drillers are able to produce a barrel of oil at a relatively low cost. The Eagle Ford in south Texas is expected to return to growth next month with an addition of 14,000 barrels a day. The Niobrara in the Mountain region is expected to grow as well, with a projected raise of output by 15,000 barrels a day. On the contrary, those gains were partially offset by a projected decline of 18,000 barrels a day in North Dakota’s Bakken shale. American shale producers use hydraulic fracturing, a rather expensive method of drilling. By injecting a mixture of water, minerals, and chemicals into wells at high pressure, they are able to break up shale rock and release oil and natural gas. A downturn that has lasted over two years has made it difficult for many frackers to break even on production. Oil prices have stabilized above $50 a barrel since OPEC and other crude-producing nations agreed last year to cut production by about 1.8 million barrels a day. The higher prices have made more U.S. shale drilling profitable. Bergen-based CRYO Shipping has developed a new type of tanker design that is claimed to enable shipowners to implement clean and cheap bunkers. By converting offshore vessels into LNG fuel tankers, the new established company aims to become the world's first and largest LNG feeder and bunker operator. 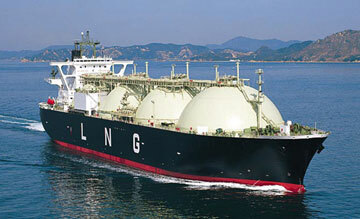 CRYO Shipping specialises in regional short sea shipping of LNG. It is a fuel that there is plentiful worldwide, but where infrastructure is lacking. Later, the company will also look into the transport and supply of renewable cryogenic fuel, such as liquefied biogas (LBG) and liquid hydrogen (LH2). The company aims to establish a fleet of flexible small-scale LNG tankers to be able to secure LNG supply to consumers regardless of their location. The ships will be able to perform both feeder and ship-to-ship (STS) bunkering operations in all types of waters and ports. "We are working on conversion projects of platform supply vessels into LNG tankers, which should be in operation by first half 2018," said Nicholai Olsen, managing director and partner of CRYO Shipping. "We have designed the LNG system by using known technology, but combined in a new way. We have also developed a design for newbuildings with completely new and unique functionality that we aim to contract when our portfolio can meet the investment." Seasonal demand dynamics are looking up for oil prices. But there are downside risks to U.S. natural gas: Higher oil prices are an incentive for more shale oil drilling, which increases the level of associated natural gas production when there is weakening seasonal natural gas demand. Technicals for natural gas prices have also weakened, and shale oil drilling is poised to accelerate further this spring and summer, given the upside risks to crude oil prices as the summer driving season approaches. For oil drillers, natural gas is a critical part of an exploration-and-production company’s valuation. But natural gas prices often are not a critical part of the financial decision to drill an oil well. As long as oil prices are supported, drillers will be producing gas, even if prices remain relatively low -- or fall further. This is called associated natural gas, because it is “associated” with the oil that drillers really want to pump out of the ground. As a result, higher oil prices during the driving season could weigh on natural gas prices, because more natural gas will be produced from additional shale oil well drilling. The partial implementation of production cuts by members of the Organization of Petroleum Exporting Countries has supported oil prices enough to give an incentive for additional U.S. shale drilling, sending oil rig counts higher by more than 87 percent since May 2016. And the short-term energy outlook report from the U.S. Energy Information Administration this month highlighted that increased oil drilling is expected to send U.S. oil production to a 48-year high. The report was understandably bearish for crude oil prices, but natural gas prices rose the day it was released. Distracted by near-term risks of winter weather, some traders may be missing the fact that more shale oil drilling will increase natural gas production even as demand is seasonally weak. U.S. natural gas inventories are currently high at almost 2.6 trillion cubic feet. 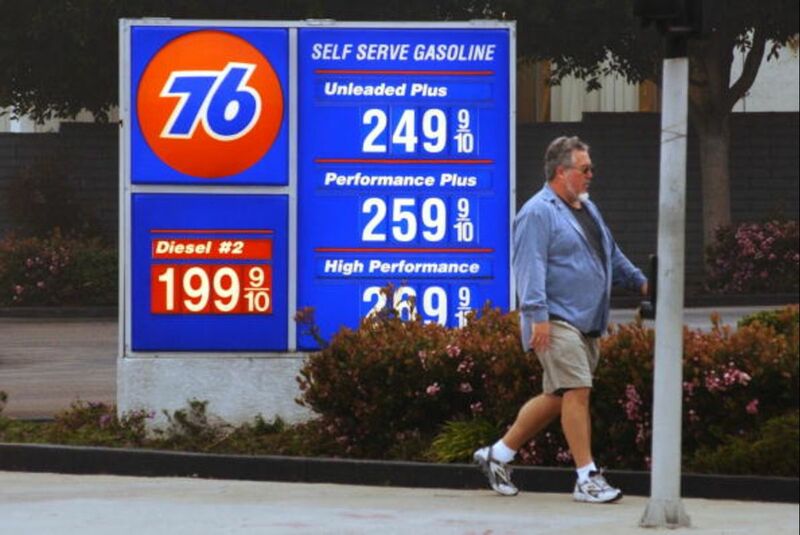 That is 1.8 percent above the five-year moving average, but 11.3 percent below the levels reached last year that engendered a collapse in natural gas prices to $1.64 on March 3. That means there is likely to be more price support for natural gas in the first and second quarters than there was last year, thanks to the lower year-over-year level of inventories. But there are still downside risks to natural gas prices -- especially if oil prices rise further and crude oil drilling activity increases further. In addition to relatively high natural gas inventories and the prospects of more associated gas production, moving average, relative strength and volume technicals have been bearish for natural gas since the New Year. On Feb. 3, the price of natural gas closed below the 130-day moving average -- a critical technical support over the past three years. This was a very bearish signal to the market, and the price of natural gas has fallen further since Feb. 3, despite a recent blast of winter weather. Winter is almost over for the so-called Henry Hub natural gas prices on the NYMEX, since that contract closes on Feb. 24, 2017. 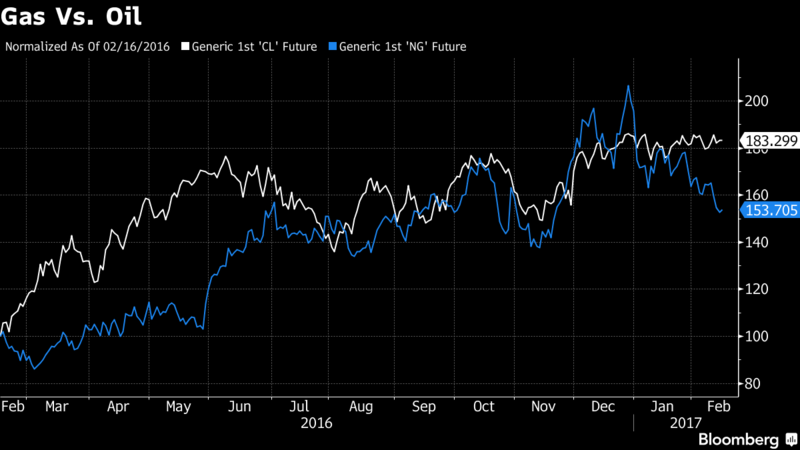 And the imminent onset of the refinery buying ahead of the U.S. summer driving season presents additional bullish risks to WTI crude oil prices -- and bearish risks to natural gas prices. Focus on the U.S. summer driving season is likely to increase after the April WTI crude oil contract becomes the front month on the NYMEX after the March contract closes on Feb. 21, 2017. Natural gas prices are poised to fall further, and the declines in natural gas prices since the close below the 130-day moving average on Feb. 3 may be just the beginning of a larger seasonal decline. Hawkish comments from Fed Chair Janet Yellen shaped price action yesterday. The central bank chief warned against waiting too long to raise rates, sending the US Dollar higher alongside Treasury bond yields and steepening the 2017 tightening path implied in Fed Funds futures. Gold prices suffered amid ebbing demand for non-interest-bearing and anti-fiat assets while the USD-denominated WTI crude oil price benchmark succumbed to de-facto selling pressure. From here, another day of Yellen testimony is ahead. Having discharged her duties in the Senate, the Chair will now do the same in the House of Representatives. Her prepared remarks ought to be essentially unchanged but the line of questioning thereafter may not match what has already crossed the wires. This could pave the way for follow-through on yesterday’s price action as the hawkish narrative is advanced. The case for steeper rate hikes may find further support on the data front. January’s CPI report is expected to put the headline on-year US inflation rate at 2.4 percent, the highest since March 2012. Price growth readings have tended to outperform relative to consensus forecasts since mid-2016, opening the door for an even steeper uptick. Elsewhere on the data docket, EIA inventory data is expected to show crude oil stockpiles added 3.5 million barrels last week. A private-sector estimate from API predicted a far more sizable gain of 9.9 million barrels over the same period yesterday. A print closer in line with that assessment may amplify USD-derived pressure as traders increasingly fret about swelling swing supply countering support from OPEC output cuts. GOLD TECHNICAL ANALYSIS – Gold prices continue to struggle to make good on a Bearish Engulfing candlestick pattern, though the setup hasn’t been invalidated. A daily close below the 38.2% Fibonacci retracementat 1219.20 targets the 23.6% level at 1182.36. Alternatively, a move back above the 50% Fib at 1248.98 exposes the 61.8% retracementat 1278.76. CRUDE OIL TECHNICAL ANALYSIS – Crude oil continue to tread water in familiar territory. From here, a daily close above range resistance at 53.86 targets the 55.21-65 area (January 3 high, 38.2% Fibonacci expansion). Alternatively, a push below rising trend line support – now at 51.82 – exposes the 38.2% Fib retracement at 50.25. Throughput of freight in Rotterdam fell in 2016 by 1.1% to 461.2 million tonnes. The fall can largely be attributed to dry bulk such as ores and coal. Liquid bulk managed to hold on to the high level reached in 2015. At the time the sector was growing by overt 10%. Last year, 1.2% more containers (TEU) were handled. Paul Smits, CFO Port of Rotterdam Authority: “With turnover remaining virtually the same and increased profit thanks to good cost management, 2016 was, from a financial viewpoint, a healthy and stable year. Investments rose by 16% and they are at least expected to be comparable to 2016 levels over the next few years. At the same time the Port Authority is obliged to pay corporate tax from 2017 onwards. We shall not allow our clients to suffer as a consequence, so we shall be focusing strongly on our costs. Throughput of crude oil fell by 1.2% to 101.9 million tonnes. Although refinery margins fell slightly, they remained buoyant whereby the level of crude oil input stayed at the upper end of the historical spectrum. Following a rise of 18.0% in 2015, the input and output of oil products increased by a further 0.3% to 88.8 million tonnes. There was less throughput of fuel oil but more gas oil, diesel, kerosene, petrol and naphtha was handled. Throughput of LNG dropped by 26.1% to 1.7 million tonnes following an increase of over 90% in 2015. The reason for this that in 2016 the global market saw less arbitrage relating to LNG prices. The other liquid bulk category rose by 1.5% to 31.2 million tonnes. This is a sum of different types of cargo. For instance more biodiesel was transhipped but less palm oil. In total the amount of liquid bulk fell by 0.5% to 223.5 million tonnes. Throughput of ores and scrap dropped by 7.8% to 31.2 million tonnes. The main reason for this was the dumping of Chinese steel. On the upside, there was an increase in the export of scrap to Turkey, which has announced anti-dumping measures. The amount of coal handled dropped by 7.3% to 28.4 million tonnes. The most significant causes are the closure of coal-fired plants in the Netherlands and the increased generation of wind and solar power. More agricultural products were received from Europe and fewer from overseas, which meant throughput of agricultural bulk fell by 3.6% to 10.4 million tonnes. The amount of other dry bulk goods fell by 1.4% to 12.2 million tonnes due to fewer raw materials being shipped for construction and industry. All in all, dry bulk fell 6.2% to 82.3 million tonnes. Throughput of containers rose by 1.2% to 12.4 million TEU (twenty feel equivalent unit, the unit of measurement for containers) and a 0.6% increase in weight to 127.1 million tonnes. In the second half of the year, 4.9% more was throughput than in the same period of the previous year. More cargo was shipped to and from the Far East and North America, but less went to South America. Within Europe, both feeder traffic and short sea traffic between Rotterdam and Great Britain, Ireland, Spain and Portugal increased. At the same time, container traffic to the ScanBaltic shipping area decreased, mainly due to the weak Russian economy. In the second half of the year, the two new container terminals at Maasvlakte 2 underwent strong growth. In the first half of the year they jointly handled 0.6 million TEU, rising to 1.1 million TEU in the second half of the year. As in previous years, Rotterdam’s share of the market in de Hamburg-Le Havre range was around 30%. This year has seen a fair amount of shifts in the partnerships between the major container lines. From 1 April, these alliances will operate under new sailing schedules. These are looking favourable for Rotterdam. Despite the announcement of Brexit, roll on roll off (RoRo) traffic increased. This not only involves shipping to and from Great Britain, but also Scandinavia, Spain and Portugal. RoRo traffic grew by 1.7% to 22.4 million tonnes. Throughput of other general cargo increased by 3.0% to 5.9 million tonnes, mainly due to the fact that more steel and non-ferrous metals were handled. RoRo and other general cargo combine to form the breakbulk category. This increased by 2.0% to 28.3 million tonnes. There has been relatively little investment in oil and gas production due to the persistently low oil price and, consequently, the offshore industry has been hard hit. A lot of companies in what is a key industry for Rotterdam had to make employees redundant last year. At the same time, Sif launched the manufacture of monopiles for offshore wind turbines at Maasvlakte 2. The Port Authority expects throughput volume in 2017 to remain at a comparable level to that of 2016. Container handling is expected to continue on an upward trend. It is uncertain whether the other sectors will equal the 2016 results. VLCC owners have had a more positive week than first feared. A sharp fall in rates, due to ample supply of newbuildings, brought a flurry of outstanding February cargoes in the MEG, Fearnleys reported. As newbuildings and ‘older’ ladies were fixed, sentiment changed and rates even showing firming tendency. February is more or less covered in the MEG but steady activity in W Africa for March is keeping momentum up. Rates have stabilised for now but OPEC cuts will eventually have an effect on activity. Suezmax owners were under extreme pressure over the past week, as rates eroded and earnings dipped below $15,000 per day. The position lists have grown after a quiet 2nd decade in W Africa and there was only limited enquiry in the Med and Black Sea. Collectively it seems that owners have gathered themselves and decided that they will resist any further rate erosion. Early this week, TD20 found its level at WS72.5 and TD6 was at WS80. The heavy Black Sea delays normally experienced at this time of year failed to materialise, but all eyes are on the Baltic, where the ice is building and will pull in the Ice Class tonnage looking to capitalise. The outlook for the coming week is steady across the board but charterers should be aware of stealth fixing currently picking off preferential tonnage. As expected, the market softened in the North Sea and Baltic, and rates are currently hovering around bottom levels. On a positive note, it has been rather busy so far this week, and with ice is building up in the Baltic and more ships leaving the area, we could see rates improve in the 3rd decade of the month, the broker said. In the Med and B Sea, more cargo activity was seen than expected, mostly caused by charterers negotiating almost three weeks ahead in the B Sea, trying to secure ships at less than WS100. This created a tighter window towards end of the month ex B Sea, and owners are now holding out for WS102.5-105. There are still some cargoes left to cover for the month, but we expect charterers to remain calm and keep rates at current levels, as they have time to wait for owners to concede, Fearnleys concluded. Meanwhile, the LR2 tanker market in East of Suez has been languishing in the doldrums for almost two weeks, Ocean Freight Exchange (OFE) reports. LR2 rates on the AG/Japan route, basis 75,000 tonnes, nose dived from WS120 at the beginning of January to current levels of WS80. Earnings for a round voyage on the benchmark route are hovering around at barely breakeven levels of $2,000 per day. A slew of refinery outages, which have lowered CPP exports, as well as a pile up of prompt tonnage in the region, have culminated in the perfect storm. Around 200,000 barrels per day of mostly unplanned refinery outages in January led to cancelled or deferred export cargoes. Recent refinery fires and technical issues in the UAE (Adnoc’s Ruwais refinery), India (HPCL’s Visakhapatnam refinery), Indonesia (Pertamina’s Balikpapan refinery), and Japan (TonenGeneral’s Wakayama refinery) have tightened supplies of refined products in the region, pushing up product cracks and lowering exports. In particular, the backwardated Asian naphtha market is facing reduced supply on the back of lower Western arb volumes, as well as Indian exports, weighing on freight rates. February inflows from the West are expected to come in at 900,000 tonnes, down by 40% from last year, while March volumes are likely stand at 1 mill tonnes, around half of last year’s volumes. This month’s Indian naphtha exports are expected to account for around 280,000 tonnes, down by 26% year-on-year. The commissioning of Reliance’s 2.2 mill tonnes per annum aromatics PX plant in this quarter may further dampen Indian exports. Strong Asian diesel demand and lower supplies kept the East/West arb closed, leading to less vessels transiting the AG/Europe routes, in return pressurising LR2 rates. Rates for the AG/UKC route plummeted to a multi-year low of $1.25 mill. The Asian LR2 segment is facing a lengthy list of prompt tonnage, with around 40 LR2s available for loading in the AG in the next three weeks. At least 18 newbuilds are expected to be delivered this quarter, which is likely to drag down freight rates. The worst does not seem to be over. With upcoming peak refinery maintenance in Asia over March and April, there is room for LR2 rates to soften further unless there is an influx of cargoes, OFE warned. In the charter market, brokers reported that Dong-A had fixed the 2000-built VLCC ‘DS Valentina’ for four months at $28,000 per day. Shell reportedly took the 2000-built VLCC ‘Maran Regulus’ for 12 months at $19,000 per day, plus profit sharing. Phillips66 was thought to have fixed the 2013-built Suezmax ‘Almi Sun’ for 12 months at $22,000 per day, while unknown interests took the 2007-built ‘Bergina’ for two years at $16,000 per day and SK Energy fixed the LR2 sisters ‘Pro Triumph’ and ‘Pro Alliance’ for three years each at an unknown rate level. The 2009-built LR1 ‘Jag Amisha’ was said to have been fixed to BPCL for four months at $14,000 per day, while the MR ‘Falcon Nostos’ was reported fixed to ST Shipping for six months at $13,250 and Statoil was said to have taken the 2011-built MR ‘Luctor’ for 9-12 months trading at $12,950 per day. Recent deliveries include Bahri’s VLCC ‘Amjad’ from Hyundai Heavy Industries (HHI). ‘Amjad’ was handed over to Bahri at HHI’s Mokpo shipyard in South Jeolla Province, South Korea, on 7th February, 2017. She will be operated by Bahri Oil, one of Bahri’s six business units. A trickle of newbuildings were reported recently by brokers, including a VLCC for Kyoei at Namura for 3Q19 delivery and unknown interests contracting two Aframaxes at Sumitomo for June and September, 2019 deliveries. Fukujin Kisen also reportedly ordered one, option, one MR at Hyundai Mipo Vietnam for 2018 delivery. In the S&P sector, brokers reported that the 2006-built Aframax ‘Athinea’ had been sold to Far East interests for $21 mill. In the MR segment, banks were believed to be behind the sale of the MRs ‘CPO Japan’ and ‘CPO Korea’ to Champion Tankers for $18.7 mill and $17.3 mill, respectively. Union Maritime was said to have snapped up the 2004-built sisters ‘Energy Pride’ and ‘Energy Protector’ for $13.6 mill each. The 2008-built Handysize ‘Gandhi’ was reported sold to Leon Shipping & Trading for $15 mill. Leaving the fleet were the 1992-built Suezmax ‘Chryssi;’ believed sold to Indian interests for $327 per ldt ‘as is’ Fujairah and the small MR ‘Lobato’, built 1993, sold to unknown breakers ‘as is’ Rio de Janeiro for $220 per ldt. Crude oil has slumped over 2 percent this year and could see more pain ahead if OPEC does not stick to production cuts it agreed upon in December. "I think oil is in a very dangerous zone now precisely because demand is not there," Boris Schlossberg, BK Asset Management's managing director of foreign exchange strategy, said Wednesday on CNBC's "Power Lunch." A build in crude oil inventory Wednesday as reported by the Energy Information Administration in fact sent oil higher, settling up 17 cents to $52.34. "The irony of this whole thing is that OPEC cuts are holding, but the demand is not there. And the longer oil wallows at this $52 level, the more likely it's actually going to go to the downside. And if it trips to $50 a barrel stops, I think it could really tumble very quickly. So I think we're in a perilous territory," Schlossberg said, adding that he wouldn't be long crude oil at this juncture. OPEC agreed in December for the first time since 2008 to cut output by 1.2 million barrels per day. Indeed, oil has traded in a range of roughly $50 to $55 per barrel, said David Seaburg, head of sales trading at Cowen & Company. But he has a more bullish forecast. "I think from a trading perspective here for the near term, it looks like it's a level you probably want to step in and take a look from the long side," Seaburg said Wednesday on CNBC's "Power Lunch." Seaburg said he'd need to see more government data in coming weeks to see if the OPEC agreement is holding, but he cited hedge funds' extreme positioning in crude oil as a positive for crude. He said the fact that crude oil held up in Wednesday trading despite the build in inventory was a bullish near-term signal in the face of crowded long positions in the space. He said that meant investors are comfortable with where oil will be in the next three to six months. "They're comfortable with that, therefore you probably get a trade here I think for the near-term to the upside," he said. The XLE, a popular energy exchange-traded fund that tends to rise and fall with the price of crude oil, is down more than 4 percent this year. ConocoPhillips, one constituent in the XLE, is set to break out of a range in which it has traded since December, said Andrew Keene of AlphaShark.com. After seeing some unusual options activity from an institutional buyer of the April 52.5 calls (which would imply a rally of nearly 6 percent by April expiration) Keene said he would buy the COP April 52.5/55 call spread for 60 cents, or $60 per options spread. Tullow Oil’s chief executive Aidan Heavey said the group is nearing the end of a cycle of writing off billions of dollars of prior exploration costs as he prepares to hand over the reins this year to his chief operating officer. The oil and gas group wrote off $723 million (€678.7 million) of exploration expenses last year, including a charge incurred against a Ugandan project in which it sold a stake this year, bringing total such charges to $4 billion over the past four years. Goodwill impairments rose by 200 per cent to $164 million, mainly tied to its ongoing sale of Norwegian assets. 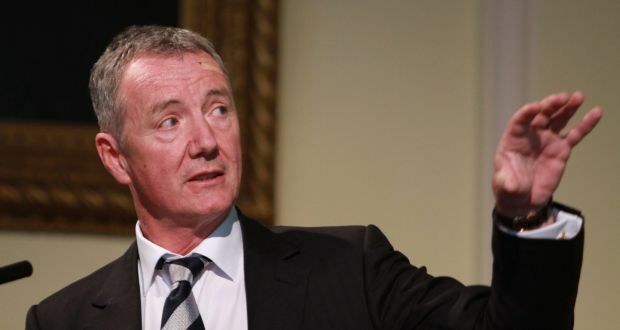 “I don’t think there’s anything left [to write off],” Mr Heavey told The Irish Times, after the oil group reported a pretax loss of $597 million (€560 million) last year as a result of the write-offs and impairments. Mr Heavey is preparing to step down as chief executive in April to become chairman for two years as the exploration group promotes chief operating officer, Paul McDade, to the top executive role. The changeover, signalled last month, follows an eventful six months, which saw the company’s TEN project off Ghana begin to pump oil while it sold most of its stake in a Ugandan oil project for a total consideration $900 million. This will ease its exploration costs in the coming years as it concentrates on cutting its debt burden. The group’s share price has also surged by more than 40 per cent in the past 12 months following a rebound in oil prices, mainly as a result of the Organisation of the Petroleum Exporting Countries (Opec), led by Saudi Arabia, striking a deal for the first time in 15 years with non-Opec members, including Russia, in December to scale back the world’s oil supply. On the negative front, Tullow’s flagship Jubilee project, also off Ghana, suffered technical issues on its floating production, storage and off-loading vessel during the year. Tullow Oil ended 2016 with net debt of $4.8 billion and free cash of $1 billion. The company extended its corporate facility on Tuesday by a further year to April 2019, albeit with commitments reducing from $800 million in April of this year to $400 million in October 2018. Tullow is working on refinancing the larger $3.3 billion facility based on its oil reserves in 2017. Mr Heavey said that talks on renegotiating the so-called reserve-based lending (RBL) facility will begin in April. He said that the “strong appetite” among banks involved in extending the corporate facility bodes well for the RBL refinancing as there is a large overlap in lenders involved in both. The Ugandan deal, announced last month, involves Tullow selling a 21.6 per cent stake in the Lake Albert Development Project, to French group Total for a total consideration of $900 million.While most of the accord is comprised of deferred payments, it eases the Irish company’s capital expenditure demands and leaves it with a remaining stake of 11.8 per cent. Tullow booked an exploration write-off of $330.4 million against the stake as part of the transaction. The earnings announcement on Wednesday provided no real update for the market on Tullow’s operations, with the group having briefed investors last month as it announced its leadership change plans. Analysts have been largely disappointed by the group’s forecast that the field will only produce 50,000 barrels per day in 2017, as an ongoing border dispute between Ghana and neighbouring Ivory Coast affects its ability to drill new wells. This may be resolved later this year by an international sea tribunal, with hearings on the case currently taking place. Eastern Canadian crude will make a first-of-its-kind voyage into the Caribbean and on to China, as weakening prices have opened the unique arbitrage to East Asia, crude traders said Monday. The unusual voyage is also supported by depressed shipping rates, Brent's narrowing premium to benchmark Dubai and a shrinking Middle East supply due to OPEC-led production cuts. Crude traders said a 710,000-barrel cargo of White Rose, 30.56 API and 0.28% sulfur, and a partial cargo of Hibernia, 36 API and 0.40% sulfur, will lift mid- to late February out of the NTL terminal in Whiffen Head, Newfoundland. It's unclear, however, which companies bought and sold the cargoes. Traders said the grades will first head to NuStar's Statia Terminal in St. Eustatius, where they will be co-loaded with an unspecified Latin crude grade onto a ship bound for China, likely a VLCC. The East Coast Canada barrels will most likely be co-loaded with a cargo of Venezuelan extra-heavy sour crude Merey, according to an industry source familiar with the Latin American markets. Produced in Venezuela's Orinoco Belt, Merey crude has a typical API gravity of 16 degrees and sulfur content of 2.45%. In January, about 3.668 million barrels of Venezuelan crude were shipped from Jose Terminal to St. Eustatius, from where they are presumably distributed to buyers in other markets. According to the latest import data from Platts China Oil Analytics, China imported an average of 403,000 b/d of Venezuelan crude in 2016, representing a year-on-year increase of 79,000 b/d, or 24.4%. A narrowing spread between the front-month swap value for Brent and Dubai has provided and incentive for imports of Brent-based crudes to China, including Venezuelan, Colombian and Brazilian grades, according to a second Latin American industry source. During the past six months, the spread between front-month Brent and Dubai swap values has decreased $1.61/b, falling to $1.77/b on Monday. Easing freight rates in the Americas have further opened the arbitrage window between the Americas crude markets and China, helping to keep total costs low for additional barrels needed to help make up for cuts in OPEC production. A majority of freight rates across vessel classes have trended downward since the start of the year. The regional VLCC market experienced the deepest lull in activity in the previous two weeks, as holidays in Northeast Asia had put any deals on pause. Replenished tonnage and more newbuilds coming online in the Arab Gulf have lately flooded the global VLCC market, adding further pressure on rates in the Atlantic Basin. Platts on Monday assessed the Caribbean-China run, basis 270,000 mt, at $5.8 million lump sum. That rate has gradually descended from an eight-month high of $6.3 million on January 11. Freight for Suezmaxes had fallen as well, as the glut in tonnage appeared to be outpacing working cargoes system-wide, leading several market participants to brace for a bearish outlook. The US Gulf Coast-Singapore trip, basis 130,000 mt, was assessed at $2.6 million lump sum on Monday. Trafigura placed a Heidmar vessel to be named on subjects for a USGC-Singapore voyage at $2.625 million lump sum for a February 16 fuel oil loading, but it was believed to be done prior to current market conditions. "A lot of ships prompt," a broker said. "[There are] openings for today and tomorrow," suggesting that Suezmax rates in the Americas had not bottomed out. The Eastern Canadian grades typically sell about 40 days before loading, meaning the cargoes were likely sold in early January as the price differentials for the crudes were on one of their biggest downward plunges of the past few years. S&P Global Platts assessed White Rose at Dated Brent plus 30 cents/b on December 30, and it fell to minus 30 cents/b by January 13. At the time, that was its lowest point since December 22, 2015, when it was Dated Brent minus 40 cents/b. Over the same period, Hibernia dropped from Dated Brent minus 55 cents/b to minus $1.15/b. That would put the outright price of the cargoes on January 13 at $44.735/b for White Rose and $53.885/b for Hibernia during the February loading period. The grades have been pressured by competing Bakken grades and seasonal East Coast refinery maintenance. Aligning with the weakened differentials was a decreased supply of Middle Eastern crudes, which often travel to China, due to OPEC-backed production cuts. The milestone 2016 agreement saw January output from the 13 members, not including Indonesia, at 31.16 million b/d in January, down 690,000 b/d from December, according to a Platts survey released Monday. 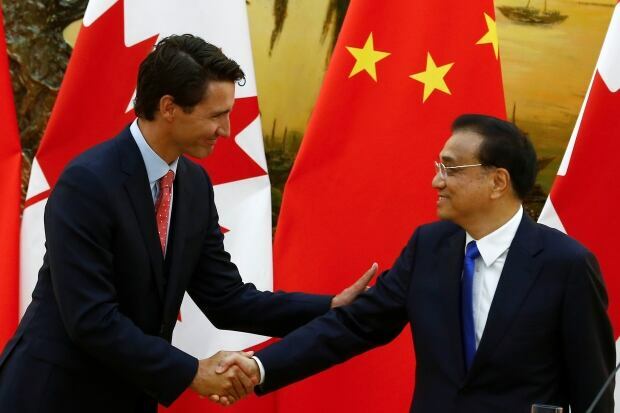 This will mark the second time in four months that an Eastern Canadian grade has made a breakthrough trip. Uruguay's ANCAP purchased a Hibernia cargo in October that lifted in mid-November. That trip was made possible by the grade's low price and high fuel oil yield. It's also the second time that White Rose will pioneer a move into Asia. In November 2013, Indian Oil Corp. bought about 1 million barrels of White Rose light crude produced by Husky Energy. NuStar Energy said that it has finally exited the U.S. asphalt market, focusing on pipeline, storage and fuels marketing. Brad Barron, CEO of NuStar Energy and NuStar GP Holdings, said, "we are very excited to have completed an immediately accretive acquisition in the fourth quarter and to finally eliminate all ties to our former asphalt business." "From a financing perspective, we feel the non-cash impairment in the fourth quarter is a small price to pay to receive a $110 million cash payment in 2017 that when coupled with the $100 million of cash we repatriated from our international operations and the proceeds that we received from issuing $226.5 million of preferred units in 2016, will significantly reduce the amount of capital needed to be raised in the financial markets to fund our future growth capital needs." Barron also said that he was very pleased to eliminate the need to provide up to $125 million in credit support to Axeon Specialty Products, an asphalt producer, and put a close to this chapter of its history once and for all. Recapping 2016, Barron said, "Our base storage and pipeline operations performed very well in the face of a continued weak commodity price environment throughout the year. During 2016, our storage segment benefited from increased storage rates at some of our facilities, while our pipeline segment experienced higher overall refined product throughputs, due in part to some completed expansion projects in our Central East System and higher utilization at some of the refineries we serve." "These positive developments, in combination with a decrease in operating expenses across both segments, allowed us to deliver solid results in 2016 despite significantly decreased Eagle Ford crude oil throughputs during the year," he said. Barron said that the future looks bright as NuStar will benefit from the additional 2.5 million barrels of storage at its Piney Point, Md., facility, a newly renegotiated long-term storage lease at its St. Eustatius facility, expansion of NuStar's propane and distillate services on its Central East System and the synergies achieved by the acquisition of terminal assets in Corpus Christi that support its Eagle Ford operations. 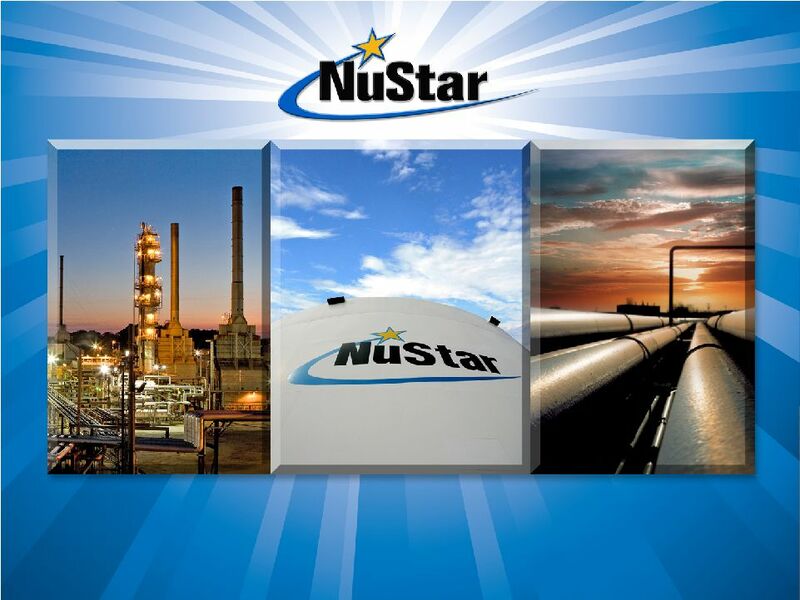 NuStar reported a net loss applicable to limited partners of $24.3 million, or $0.31 per unit, for the fourth quarter of 2016 and net income applicable to limited partners of $99.1 million, or $1.27 per unit, for the year ended Dec. 31, 2016. This is compared with a net income of $47.485 million in the fourth quarter of 2015 and net income of $257.366 million for 2015. Fourth quarter 2016 earnings before interest, taxes, depreciation and amortization (EBITDA) from continuing operations were $82.6 million, compared with $150.641 million in the corresponding period of 2015. For the year ended Dec. 31, 2016, the partnership reported $517.1 million of EBITDA from continuing operations. EBITDA for 2015 was $662.736 million. All of these amounts include a $58.7 million non-cash charge related to the announced sale by Axeon of the asphalt marketing business (Axeon) that NuStar sold to Axeon in 2014, NuStar said. To facilitate this sale, NuStar agreed to reduce the value of its term loan to Axeon by $58.7 million and receive a $110 million cash payment to satisfy the remaining debt owed by Axeon under NuStar's term loan. The sale is expected to close in the first half of the year, and once closed, NuStar expects to receive the $110 million cash term loan payment and an additional $2 million per year for storage space at its terminals in Jacksonville, Fla., and Baltimore, Md. The transaction will also increase NuStar's borrowing capacity because it will eliminate NuStar's obligation to provide up to $125 million in credit support for Axeon, which was required under the previous agreements with Axeon. Sovcomflot’s (SCF) three Arctic shuttle tankers in the ‘Shturman Albanov’ series have passed the one million tonnes crude oil shipment milestone. The vessels ship oil produced at the Novy Port oil and gas condensate field from the Gulf of Ob (Kara Sea) to Murmansk. The millionth tonne cargo of oil was loaded on ‘Shturman Albanov’ on 29th January, 2017 at the Arctic Gate marine terminal located near Cape Kamenny (Gulf of Ob). By this time, the SCF tankers had completed 33 voyages carrying Novy Port grade oil since last autumn. The first cargo was loaded on the lead ship of the series, ‘Shturman Albanov’, on 12th September, 2016. SCF’s three Arctic shuttle tankers – ‘Shturman Albanov’, ‘Shturman Malygin’ and ‘Shturman Ovtsyn’ – were designed to carry crude oil from the Yamal Peninsula to Murmansk all year round under a long-term contract with Gazprom Neft. They fly the Russian flag and are registered at St Petersburg. On her maiden voyage, ‘Shturman Ovtsyn’ sailed from South Korea across the Russian Arctic to the Novy Port oil terminal in winter. In December last year, she left Samsung Heavy Industries shipyard in South Korea. On 21st December, she transited the Bering Strait and into the Chukchi Sea in a convoy escorted by the nuclear-powered icebreaker ‘50-Let Pobeda’. The two other vessels in the convoy were a heavy lift carrier and a general cargo ship. On 3rd January, the convoy arrived in the Gulf of Ob. While the other two vessels berthed at Sabetta, at the northern end of the Yamal Peninsula, the ‘Shturman Ovtsyn’ sailed deeper into the Gulf to Cape Kamenny and the Novy Port oil terminal without icebreaker assistance. Never before has a convoy of commercial vessels transited the Northern Sea Route, from the east to the west, at this time of year, SCF claimed in its newsletter. The three shuttle tankers were delivered by Samsung to SCF last year. Another three sister vessels are still under construction. All six will be deployed shipping oil between the Novy Port and Kola Bay, where the FSO ‘Umba’ is anchored as a transhipment storage vessel. The new Arctic tankers are 259 m long, 34 m wide and have a deadweight of about 42,000 tonnes. They were all built to Arc7 Ice Class notation. Designed for sailing in shallow waters, the ships have a draft of only 9.8 m and a wider beam than normal for tankers of this size. They are all of the double-acting type fitted with ABB Azipods and when going astern they are able to break through 1.8 m of ice and 1.4 m of ice while going ahead. Rex W. Tillerson, the former chairman and chief executive of Exxon Mobil, was confirmed by the Senate on Wednesday in a 56-to-43 vote to become the nation’s 69th secretary of state just as serious strains have emerged with important international allies. The votes against Mr. Tillerson’s confirmation were the most in Senate history for a secretary of state, a reflection of Democratic unease with President Trump’s early foreign policy pronouncements that threaten to upend a multilateral approach that has guided United States presidents since World War II. 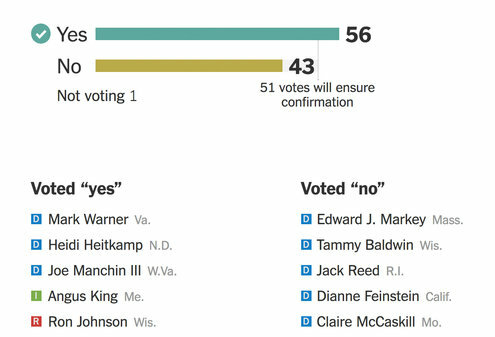 Thirteen senators voted in 2005 against Condoleezza Rice in the midst of a deteriorating Iraq war, and in 1825, Henry Clay was confirmed 27 to 14, the record for votes against until Wednesday, according to a tally provided by the Senate Historical Office. Mr. Tillerson is expected to appear at the State Department’s Foggy Bottom headquarters on Thursday morning, when he will address department employees. The Senate on Wednesday confirmed Rex W. Tillerson as secretary of state. Mr. Trump’s unapologetically nationalistic approach has put into question the value of many alliances and multilateral institutions. How Mr. Tillerson’s translates Mr. Trump’s vow of “America First” into the kind of polite diplomatic parlance that will maintain vital ties will be a significant test. Among his other challenges are dealing with Mr. Trump’s promises to recast relations with China and Russia, move the American Embassy in Israel to Jerusalem from Tel Aviv, and re-examine an international nuclear deal with Iran. In a White House briefing on Wednesday, Michael Flynn, the national security adviser, issued a stern warning to Iran. “The Obama administration failed to respond adequately to Tehran’s malign actions,” he said. Mr. Tillerson, 64, a Texan, earned an engineering degree from the University of Texas at Austin, got a job at Exxon in 1975 and climbed his way to the top, leaving only last year. Neither a diplomat, soldier nor politician, he is an unconventional choice for the job, but has vast international experience. With operations on six continents, Exxon Mobil is in some ways a state within a state. As its chief executive, Mr. Tillerson struck deals with repressive governments — in at least one case, against the advice of the State Department. Environmentalists largely opposed his nomination. But his views on international affairs are in many ways more conventional than those of Mr. Trump, which is why even Democratic-leaning foreign affairs experts said they welcomed his selection in hopes he would bring ballast to a turbulent administration. “Rex Tillerson will have the most demanding and complex agenda to face a secretary of state in a very long time,” said R. Nicholas Burns, a Harvard professor and career foreign service officer. Another crucial question will be how much influence Mr. Tillerson has on Mr. Trump. All cabinet secretaries must compete for power with White House aides who have long personal relationships with and frequent access to the president. But Mr. Trump’s reliance on a close circle of advisers to write and vet executive orders while keeping departments that must implement them largely in the dark is without precedent. Mr. Trump invited Mr. Tillerson for a private lunch at the White House on Wednesday, the first time Mr. Tillerson has appeared on the president’s official schedule. Mollifying allies infuriated by Mr. Trump’s orders could be a full-time job. A ban on refugee arrivals and entries from seven Muslim countries, for instance, has enraged Iraqi officials whose cooperation is vital in the fight against the Islamic State — a top administration priority. It has also infuriated many European leaders crucial to efforts not only in Syria, but Afghanistan and Libya as well, and it has tarnished what had been viewed as a successful trip by Prime Minister Theresa May of Britain, who on Monday said she opposed the ban. Relations with Mexico have plunged to their lowest level in decades after Mr. Trump insisted he would build a border wall regardless of Mexican opposition. The relationship with Chancellor Angela Merkel of Germany threatened to become toxic after Peter Navarro, the director of Mr. Trump’s new National Trade Council, denounced the relatively low value of the euro as an unfair currency advantage for Germany. “Tillerson faces the most difficult task of any secretary of state in the postwar era in trying to reconcile President Trump’s intention to make a stark break from decades of bipartisan consensus U.S. foreign policy leadership with the reality that, if he succeeds, such a break could lead to global chaos,” said Ryan C. Crocker, who served as the United States ambassador to five Muslim countries. Mr. Tillerson may also face difficult internal hurdles. 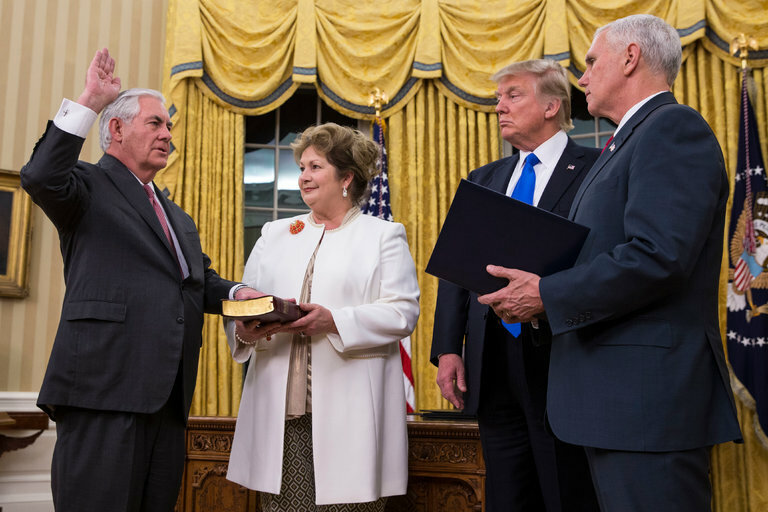 Much of his department’s top leadership has departed — many because the Trump administration, like others before it, refused to keep political appointees. But the Trump transition team has been so short-handed and the pickings among Republican foreign policy veterans who had not criticized Mr. Trump so slim that dozens of positions are likely to remain empty for some time. More worrisome, morale among the department’s rank-and-file career officers has plunged, with a dissent memo against the administration’s refugee and entry bans being submitted on Tuesday garnering more than 900 signatures, an extraordinary number. Whether Mr. Tillerson meets these challenges with defiance or moderation will be a telling indication of his leadership.